Hey guys, this is my first blog update from New York (a few more to come ) . It is a nice short break from London and I will be back with a fresh mind a lots of new ideas. New York is the most inspirational city I’ve ever been to and honestly I’m thinking about moving there soon. Do you know that feeling when sometimes you find yourself in a place that feels like you and it’s close to your heart? Well I had it for the first time when I came to Notting Hill almost 6 years ago, and now I’ve just felt the same in New York. My number one rule in life is make your dreams come true, so … We will see!We took these photos with Matthew in Soho, in the strong sunlight. It was 1 pm when I actually never take pictures for my blog at this hour. They turned out really cool despite this unflattering time of day. But let’s be honest, it’s New York, the most photogenic city in the world! I was wearing an off the shoulder dress, perfect for summery weather, Balenciaga bag , Converse sneakers (my favourite shoes at the moment), and gold Monica Vinader jewellery. I want to share with you some pictures I took in Paris during my last trip for Men’s Fashion Week. I had a really great time, as always in Paris. Actually I’ve never had any feeling that it gets me bored, it inspires me so I always come back to London with new ideas . I had a pleasure to stay in Le Lapin Blanc Hotel, a lovely boutique hotel located in the Latin Quarter near Odeon Station, just around a corner from Saint Germain. 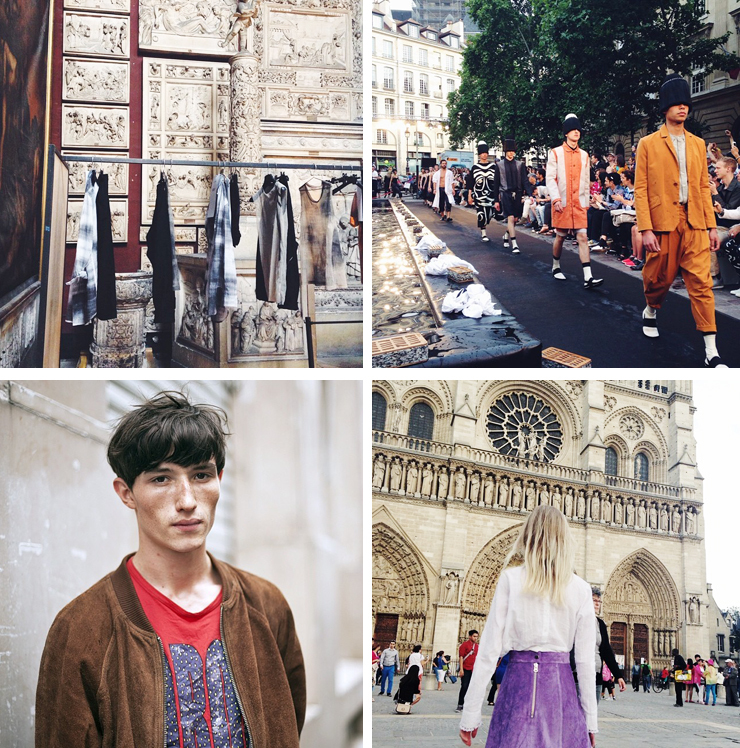 What’s more it turned out that a few shows like Hermes, Y-3 or Lanvin were located just a few minutes walk. Also, there is a very interesting story contected with the design and interior of the hotel. This is nothing other than Alice in wonderland fairy tale, about Alice who inhabits this place in search of her white rabbit. What a coincidence, I can identify with this story altogether! Each floor has different colour, walls are layered with colorful drawings taking us for the time of a dream in the mysterious and historic atmosphere of the Latin Quarter. On the first picture you can see a view from my room on a little street in Latin Quarter, then interior of my room located on the 4th floor. If you prefer cold colours like green or blue you should ask for a room on the 2nd or 3rd floor. I personally prefer warm colours, they always make me happier. On the third picture a classic french breakfast. It’s always fun to eat it on that typicall Parisian balcony, it tastes better, no? Above, a few shots from Men’s Fashion Week. First one from No Editions presentation. Parisan interiors are incredible! Then Henrik Vibovsk show with a pool and balet dancers splashing the water in the middle of runway. It was a stunning performance! On the third picture my shot of Luke White after walking Paul Smith runways show during the last day of fashion week ( click here to see my other shots from Men’s Fashion Week ). And last shot , uhm … me seeing Notre Dame cathedral for the first time in my life. I was impressed! 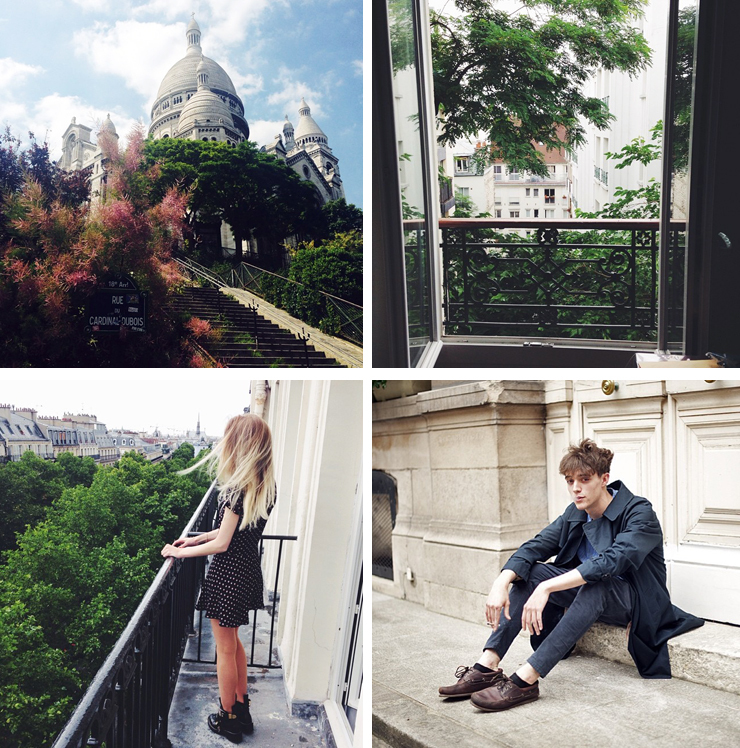 A few shots from Montmartre. I’m not a romantic girl, but I love Montmartre like crazy. It’s beautiful and magical! And what I love the most are these little streets out of the touristic part of the area, so closer to Chatea Rouge metro station. On the last picture Xavier smoking cigarettes after doing his first runways show. Thank you to Snaptraveller for a great trip to Paris! Francois for a motorbike ride in Paris ( it was unreal ) and lovely Acielle from STYLE DU MONDE for the beautiful streetstyle shots of me while running away from the rain in Saint Germain! My last trip to Paris was magical. 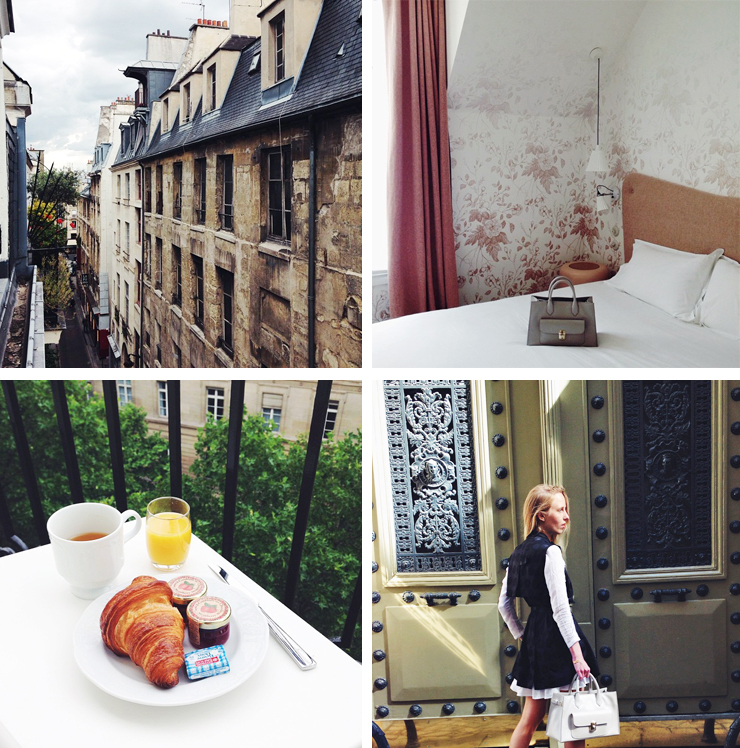 I know I say it every time whenever I go to Paris, but trust me, this time it was literally magical. 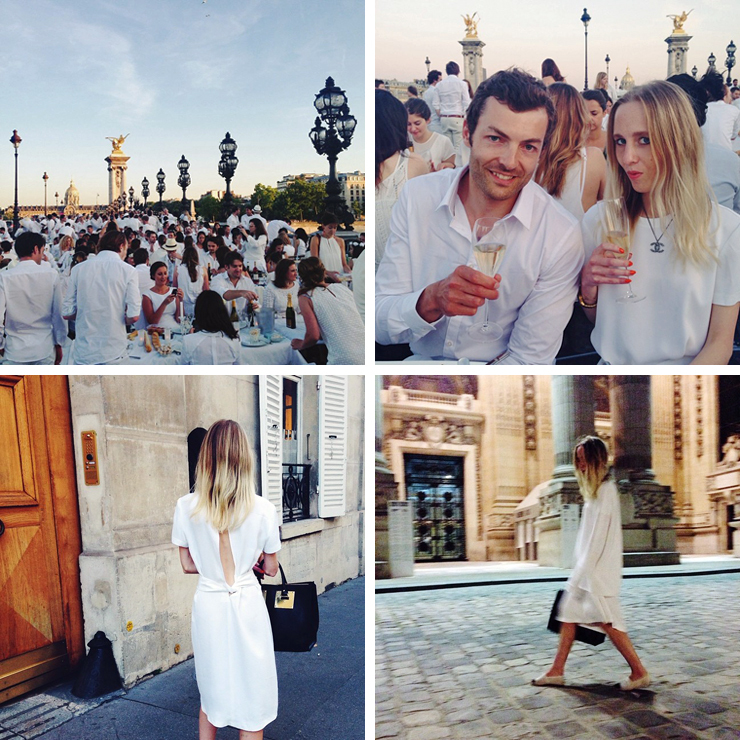 I had a big pleasure to take part in a White Dinner. For those who’ve never heard of it I’m explaining it now. It’s a pop-up picnic dinner that happens once in a year in a secret location. We got to know where to meet just 2 hours before, so it’s always a big surprise. The most important rule is to come dressed in white from head to toe, bring your own table and chairs, white cutlery, enjoy your meal and disappear before midnight. This time it took place in Pont Alexandre III Bridge, for me ( and probably not only) the most beautiful bridge in Paris, so I was really happy when I heard about the location. Not to mention about an amazing sunset view to Eiffel Tower while enjoying our meal with a glass of champagne. To make you guys more jealous ( sorry about that), go and check a video I did during the event. French language is always so charming. 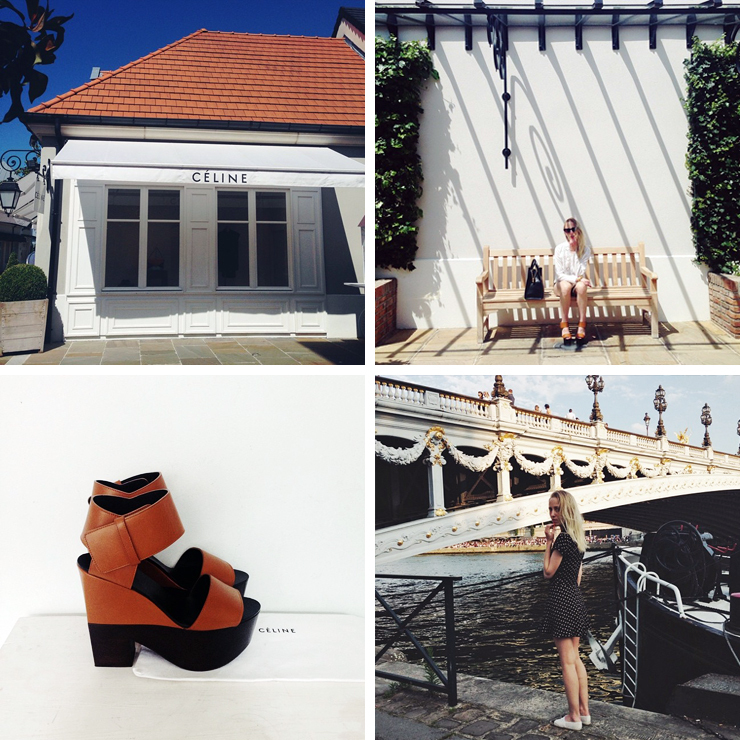 Thank you Web Style Story for an amazing time in Paris! The next day I had a chance to visit La Vallee Village, a big shopping area with outlet boutiques of the best designers. From Burberry, Valentino, Givenchy to Celine, you’ll find the best pieces in a great prices. Meet my new CELINE killer wedges bought with 70% discount. Sorry for making you guys jealous second time today. And two last shots. The old bookshop in Montmartre and apple pie with strawberry sauce in the cute parisian cafe near Sacre Coeur. Paris, I hope to be back soon!